Today's Labor Updates, July 19, 2018 | Oliver Bell, Inc.
Norway’s oil unions won’t step back from their demands, strike to escalate. Norway’s ship-owners and two oil unions said on Saturday they planned no compromise talks to end a five-day strike over wages and pension benefits before a planned escalation of the stoppage from Monday. One of the unions, Safe, plans to escalate actions from Monday (Sunday 2200 GMT) and send 901 more workers on strike. The stoppage will have no immediate extra impact on oil and gas output. The Norwegian Ship-owners’ Association said it planned no contact to resolve the strike before the deadline and was considering countermeasures instead. “A middle way is not a solution. Our position is unchanged. I don’t think that there will be any contact during the weekend,” the Ship-owners’ Association chief negotiator Jakob Korsgaard told Reuters. The Safe union also told Reuters on Saturday that it expected no contact before the planned escalation. The employees who will join the action work on exploration and production drilling rigs owned by Saipem, Transocean, Songa Offshore, Odfjell Drilling, Archer and COSL, among others. Employers don’t call the Family and Medical Leave Act the “Friday and Monday Leave Act” for nothing, especially this time of year. The allure of summertime fun in the sun can cause an increase in employee absenteeism, including with employees on intermittent leave under the FMLA. So can employers take any steps to try and tame the intermittent FMLA leave beast, or are employers at the mercy of their employees? Although by its very nature intermittent FMLA will always give employers headaches, there are steps that employers can take to try and ease the pain. By its very nature, FMLA intermittent leave can be difficult to manage for an employer. Unlike continuous FMLA, it is a series of absences that can arise at any time and without warning. Employers are not left without protection, however, and the FMLA’s own regulations provide the tools to try and combat the inconvenience that intermittent FMLA leave can cause. Does the Employee Qualify for Intermittent FMLA Leave? It must be remembered that only eligible employees are entitled to FMLA leave in the first place. To be an FMLA-eligible employee, the employee must have been employed by a covered employer for at least 12 months, have provided at least 1,250 hours of service in the 12-month period immediately preceding the commencement of leave, and be employed at a worksite where 50 or more employees are employed by the employer within 75 miles of that worksite. If an employee does not meet these requirements, or if the employer is not a covered employer under the FMLA, then there is no requirement for intermittent FMLA at all (absent some state or local law stating otherwise). If an employee is an eligible employee under the FMLA, then there must be a “medical need” for the intermittent FMLA leave for the employee’s own serious health condition or to care for a covered family or service-member. Furthermore, this medical need must be “best accommodated” through intermittent or reduced leave under the FMLA. Employees must also provide proper notice to take FMLA – at least 30 days for foreseeable leave and as soon as practicable for unforeseeable leave. Assuming the eligibility criteria are met, when an employee requests intermittent FMLA leave (as well as continuous FMLA leave), a covered employer should require the employee’s healthcare provider to complete an FMLA certification verifying the employee’s need for intermittent leave. The employer should also require that this certification be submitted within 15 calendar days after the employer’s request. If the employee does not submit the certification within 15 calendar days, then the FMLA request can be denied, absent some sort of extenuating circumstances. Once the employer receives the certification, it should review the certification to make sure it is “complete and sufficient.” If the healthcare provider has not answered all of the applicable questions, then the certification is incomplete. Or, if the healthcare provider has answered all of the applicable questions but the answers are vague, ambiguous, or non-responsive, then the certification is insufficient. In the case of either an incomplete or insufficient certification, the employer must specify in writing to the employee what the deficiencies were and give the employee seven calendar days to fix it. If the employee does not fix it within seven calendar days, then the employer can deny the FMLA request. Ways for an employer to investigate the certification don’t stop there. Once an employee has submitted a complete and sufficient certification and an employer has given the employee seven days to cure any deficiencies, the employer may then contact the healthcare provider who purportedly signed the certification. The employer can ask the healthcare provider to authenticate the information in the certification by providing a copy of the certification and asking the healthcare provider to verify that the certification was completed and/or authorized by the provider. The employer can also ask the healthcare provider to clarify the handwriting on the certification or to understand the meaning of a response. The employer should not, however, ask the healthcare provider for additional information beyond that required by the certification. The employee’s direct supervisor should also never be the one contacting the healthcare provider. Let HR, a leave administrator, or another manager handle that. If an employer is still not convinced of the employee’s need for FMLA leave and doubts the validity of an FMLA certification, the employer may require a second opinion from a healthcare provider of the employer’s choosing. The employer has to pay for this second opinion, however. If the opinion of the employee’s doctor and the employer’s differs, then the employer can pay for a third and final opinion, which is the binding one. If an Intermittent FMLA Leave Request Is Approved, What Can an Employer Do to Protect Its Interests? If an employer ultimately approves the employee’s intermittent FMLA request, an employer still has ways to try and ensure some predictability in the employee’s use of the intermittent FMLA time. The FMLA’s regulations impose obligations on employees to try and minimize the disruptions intermittent FMLA leave causes on an employer’s operations. When the FMLA leave is foreseeable, an employee must consult with the employer and make “a reasonable effort to schedule the treatment so as not to disrupt unduly the employer’s operations.” Employees are also expected to consult with their employers before scheduling medical treatment to work out a treatment schedule that meets both parties’ needs. When the need for FMLA leave is not foreseeable, an employee must follow the employer’s “usual and customary notice and procedural requirements for requesting leave,” such as requiring employees to call a designated number or individual to request leave. An employer can also make limited inquiries to an employee when the employee requests intermittent leave. Each time the employee requests intermittent leave, the employer may ask questions to determine if the absence is FMLA qualifying. Remember, intermittent FMLA leave can only be taken for the same medical reason, so the employer’s questions should be designed to determine whether the leave is for the same qualifying reason. Employers may also request that employees recertify their need for leave. 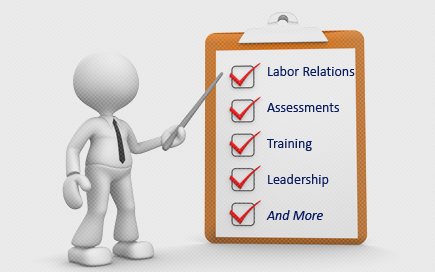 The Department of Labor allows employers to request recertification every 30 days, so long as it is in connection with an employee’s absence. In some cases, such as when an employee’s medical circumstances described in the prior certification have changed significantly or the employer has reason to doubt the employee’s stated reason for the absence, the employer may request recertification in less than 30 days. Employers should watch an employee’s unforeseeable absences to determine if there is a pattern. If an employee is routinely taking Friday and/or Monday off for supposedly unforeseeable intermittent leave, then that may be enough for an employer to request a recertification in fewer than 30 days. The recertification is at the employee’s expense, but no second or third opinion may be required. Finally, employers should track an employee’s use of intermittent FMLA time. Remember, an eligible employee is only able to take 12 workweeks of FMLA time off each leave year. Time on intermittent FMLA counts against this 12 week limit. Employers should designate the intermittent leave promptly to help the employer exhaust the employee’s 12 weeks of leave as soon as possible. It is the employee’s actual time off on intermittent leave that counts against this 12-week maximum, not the doctor’s estimate of the time off needed. If the employee’s time off significantly exceeds the doctor’s estimate in the certification, however, that may be grounds for requesting a new certification from the healthcare provider in question. There is no way to fully tame the intermittent FMLA beast. By its very nature, it is unpredictable and difficult for employers to deal with from a scheduling and administrative standpoint. However, as the above demonstrates, the FMLA’s regulations provide employers with tools to combat it and try to transform the “Friday and Monday Leave Act” back to the Family and Medical Leave Act. Davis v. Mich. Bell Telephone Co., 543 F.3d 345, 350 (6th Cir. 2008). 29 C.F.R. § 825.302(e), § 825.302(f). McDonald’s (NYSE:MCD) is rejected by a National Labor Relations Board administrative law judge in the company’s proposal to resolve a dispute with franchise employees who claim they were fired for participating in a national movement for union rights and higher wages for fast food workers. The NLRB judge said “certain fundamental elements of any effective settlement are lacking,” and such a complicated settlement in a case loaded with confusion and a “history of antagonism” virtually guarantee the accord would not work. Business groups have said that a ruling against MCD could upend the franchising model by making franchisors more vulnerable to lawsuits and requiring them to bargain with unions representing franchise workers.